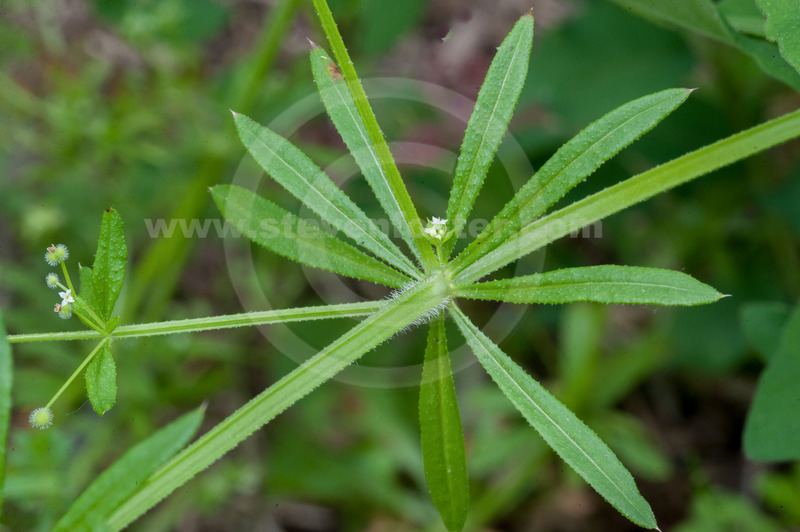 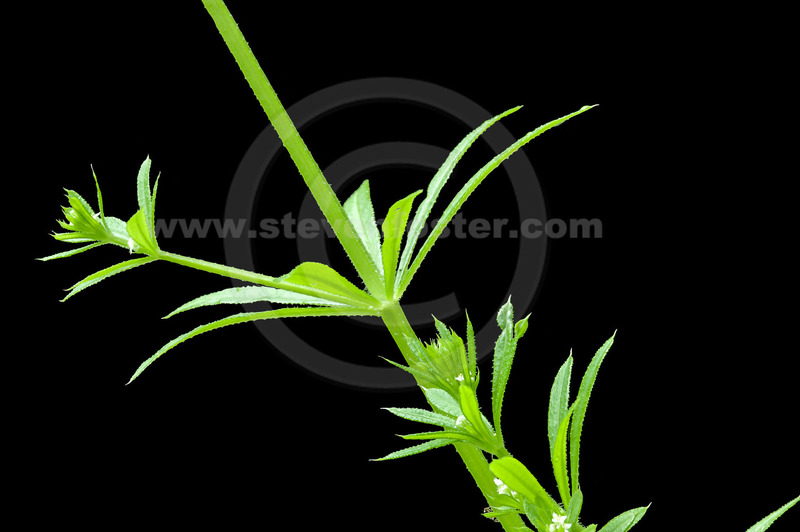 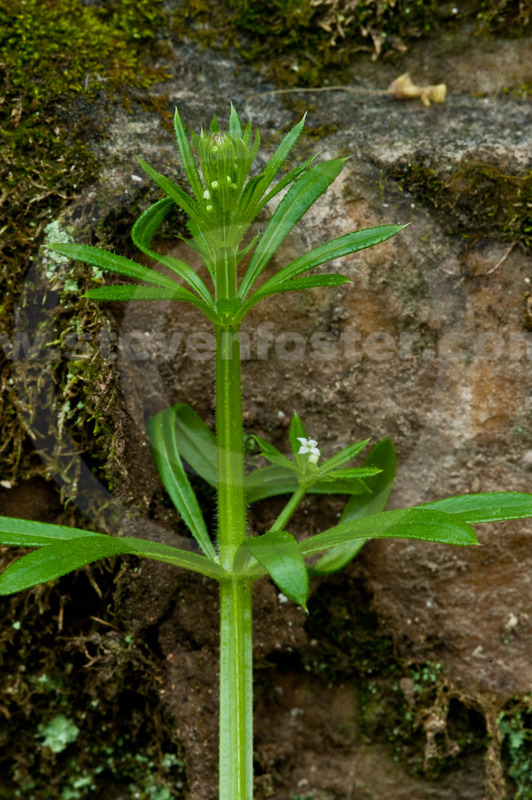 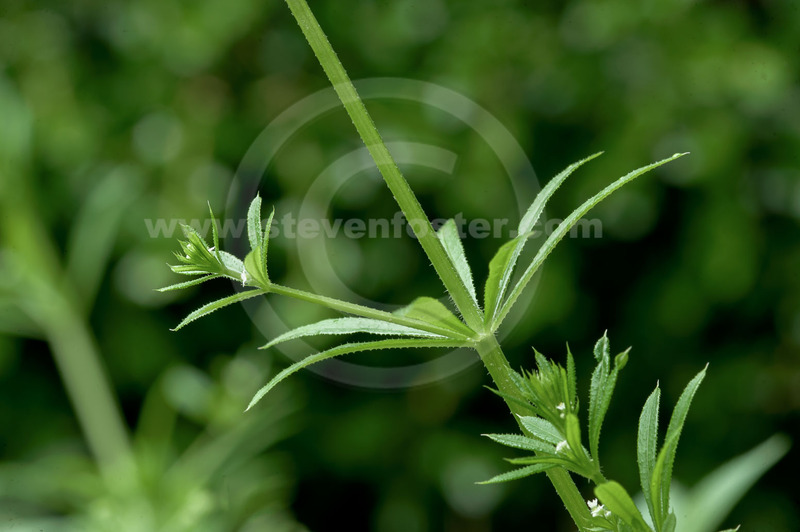 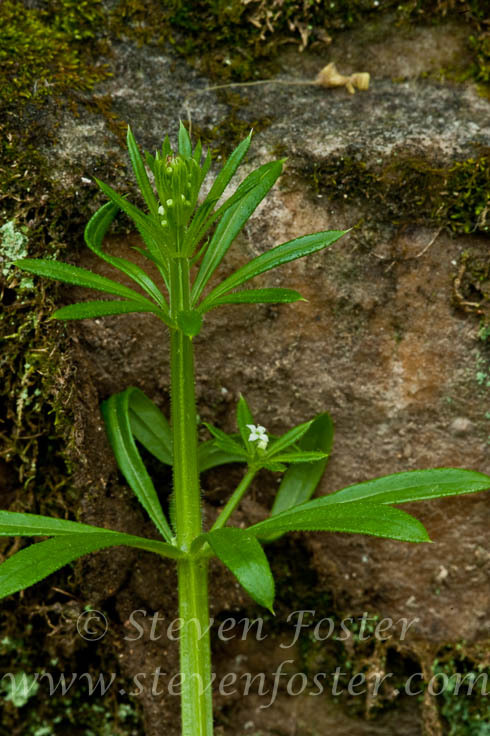 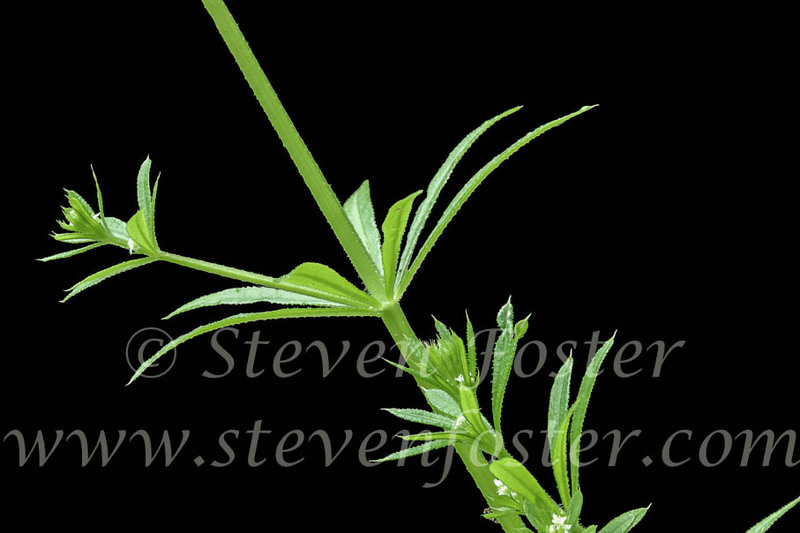 Galium aparine. 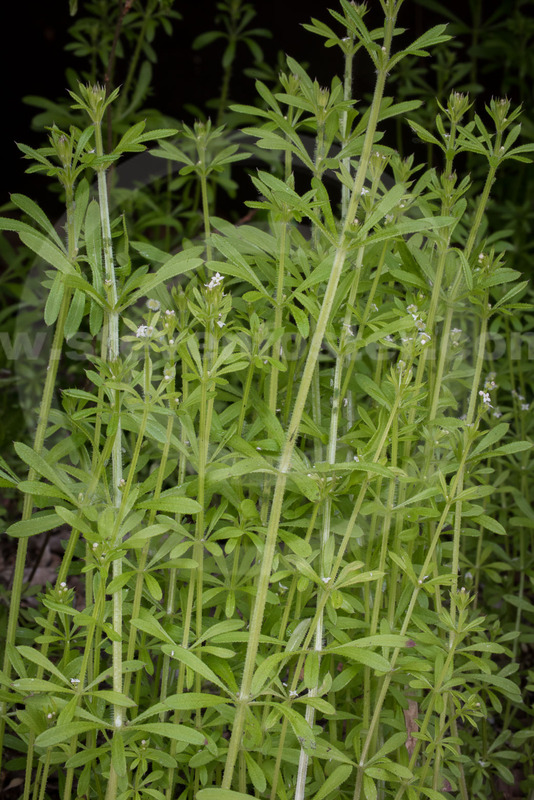 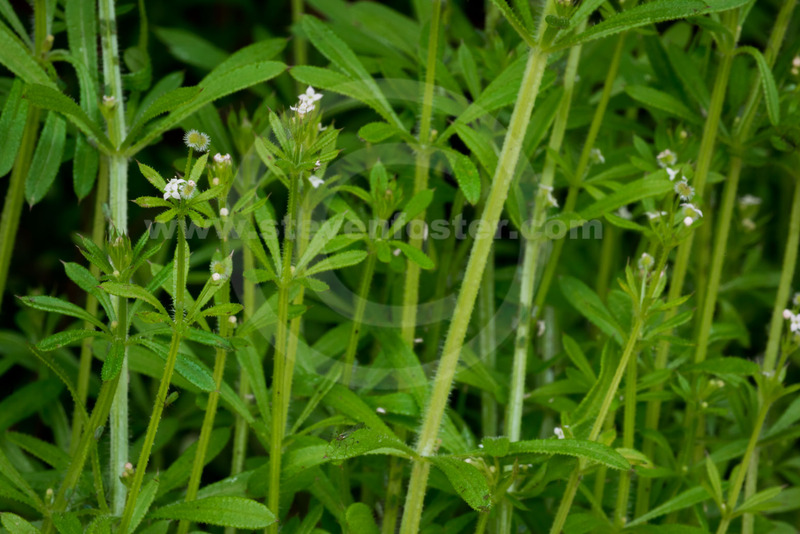 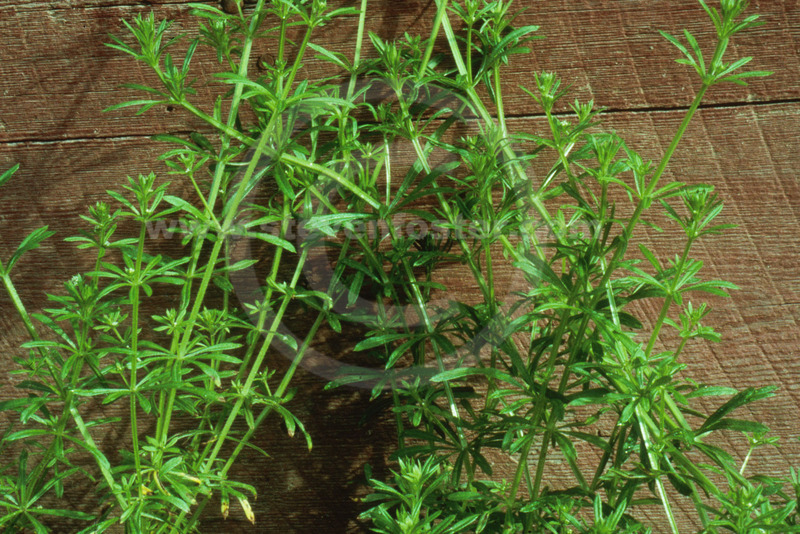 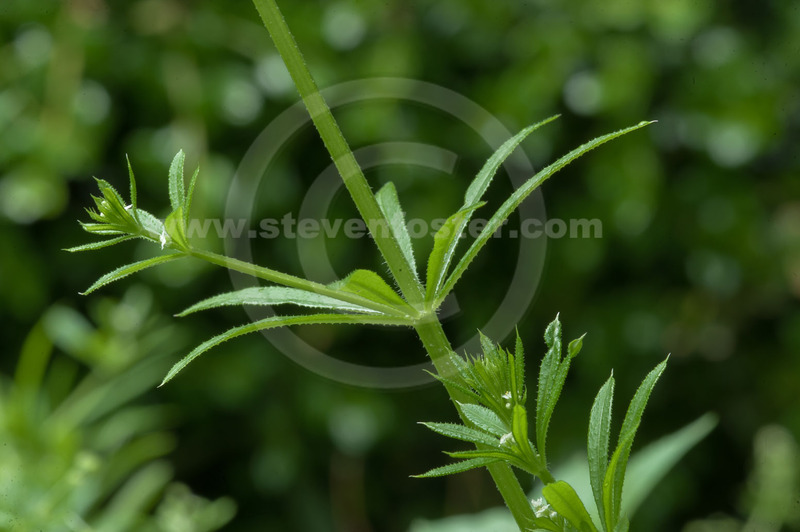 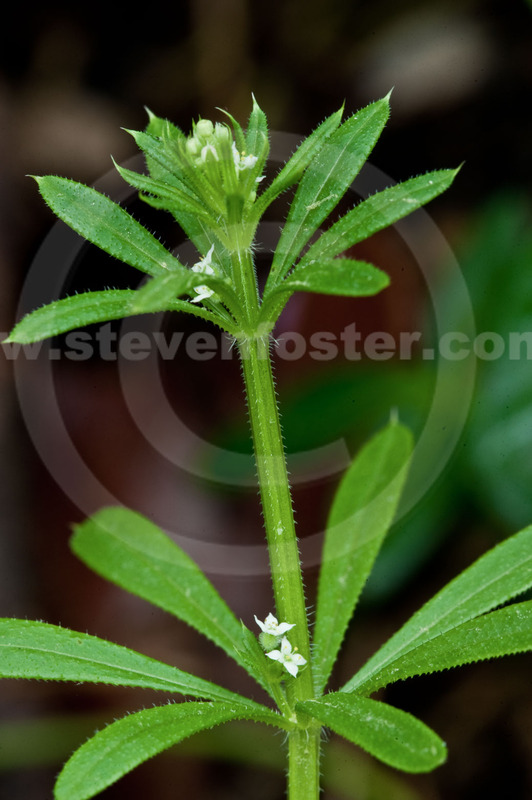 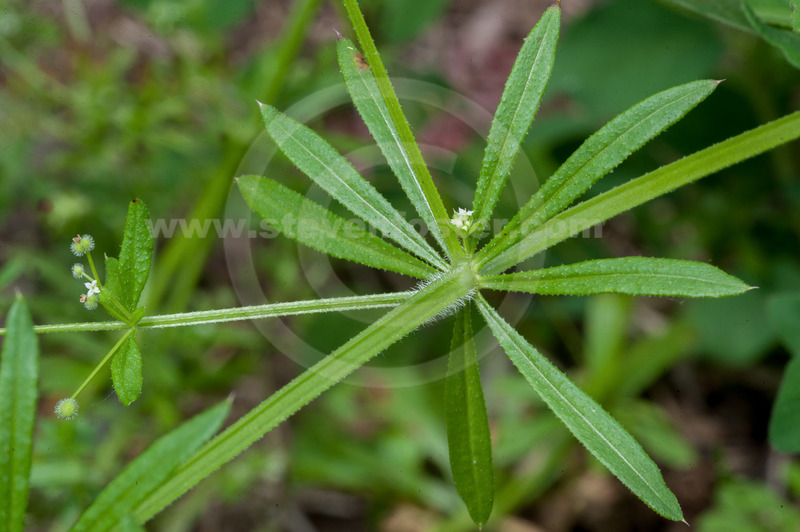 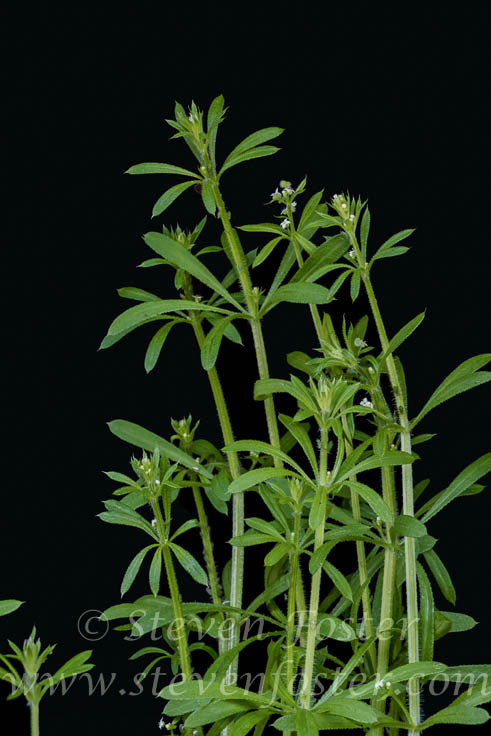 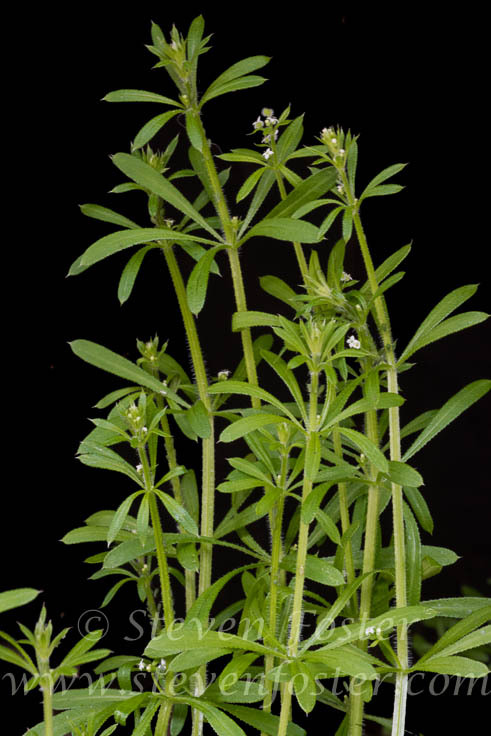 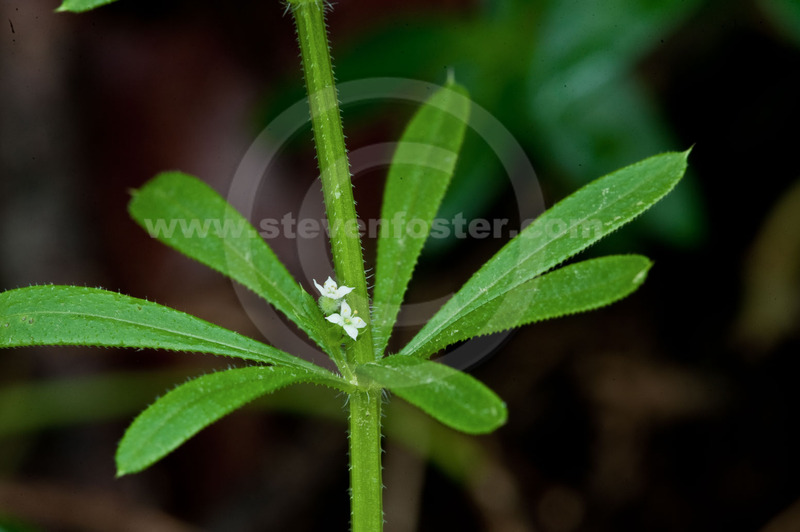 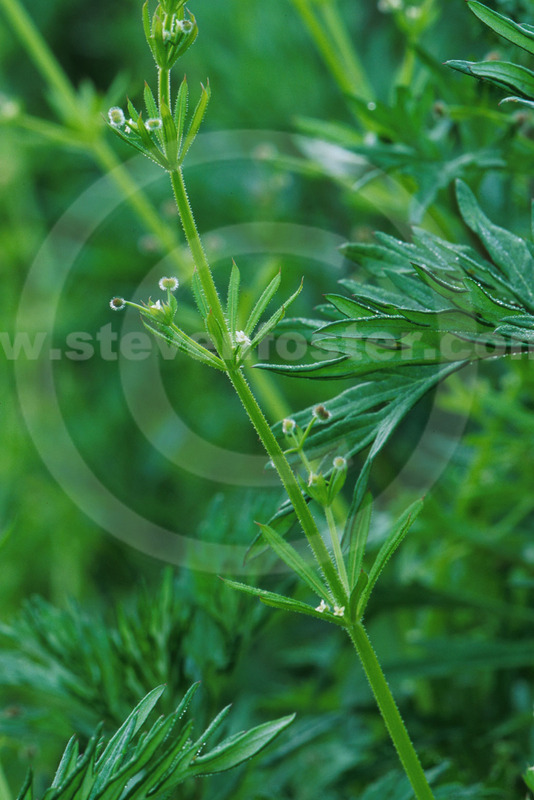 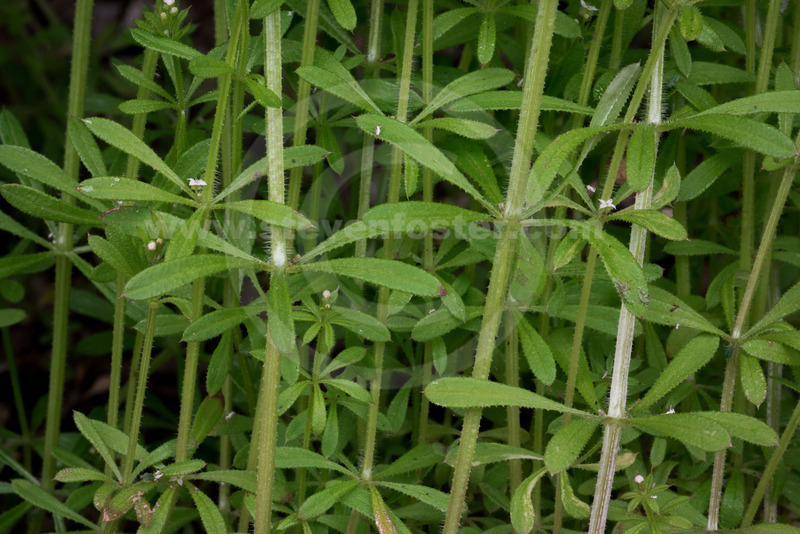 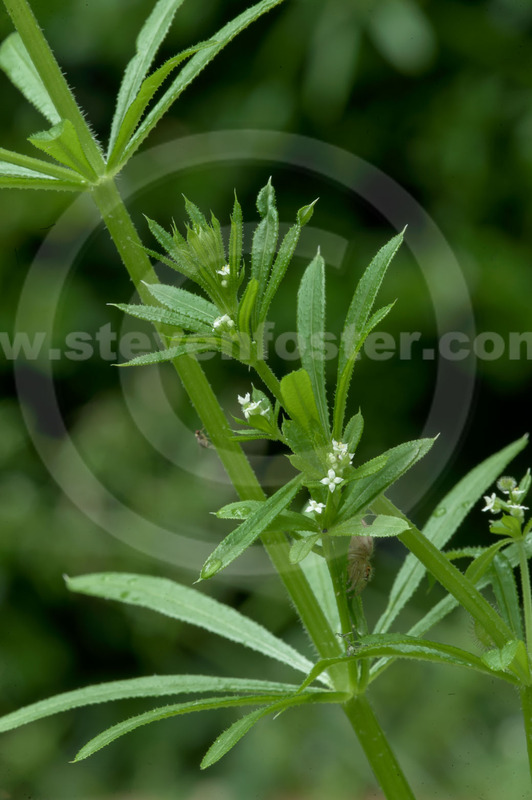 Cleavers is an annual member of the madder family (Rubiaceae) originating in western Eurasia and the Mediterranean region, now an adventive weed worldwide. 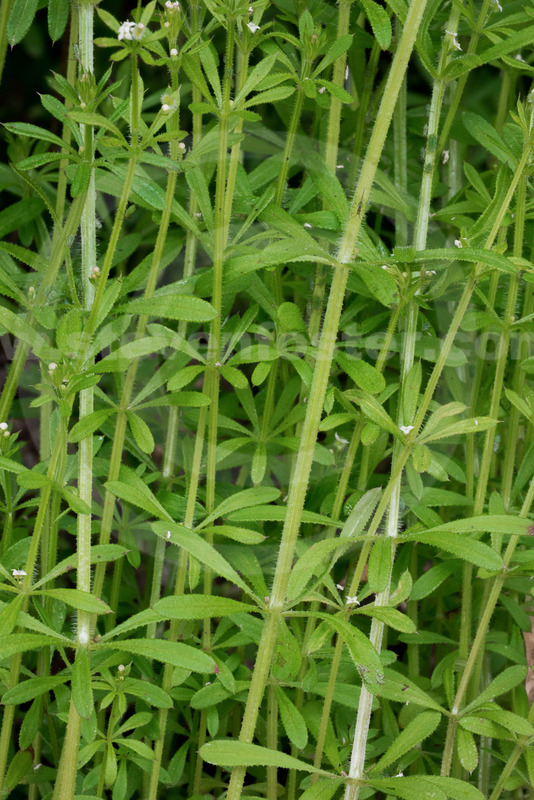 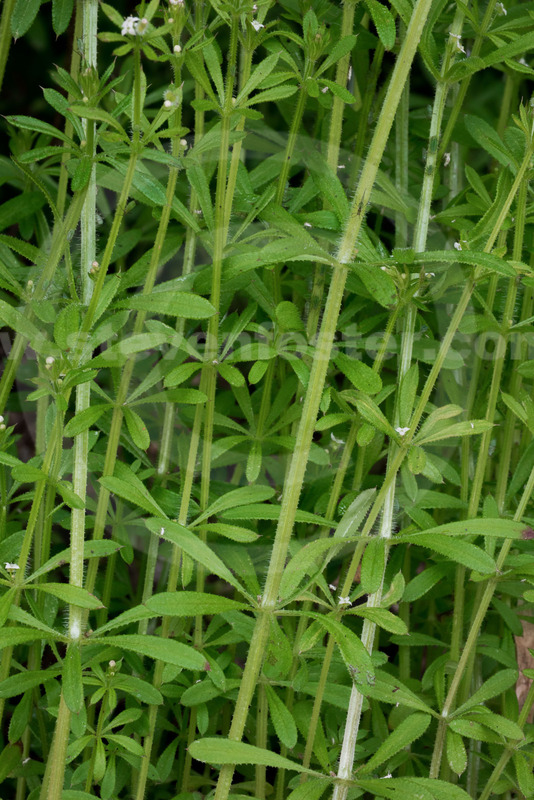 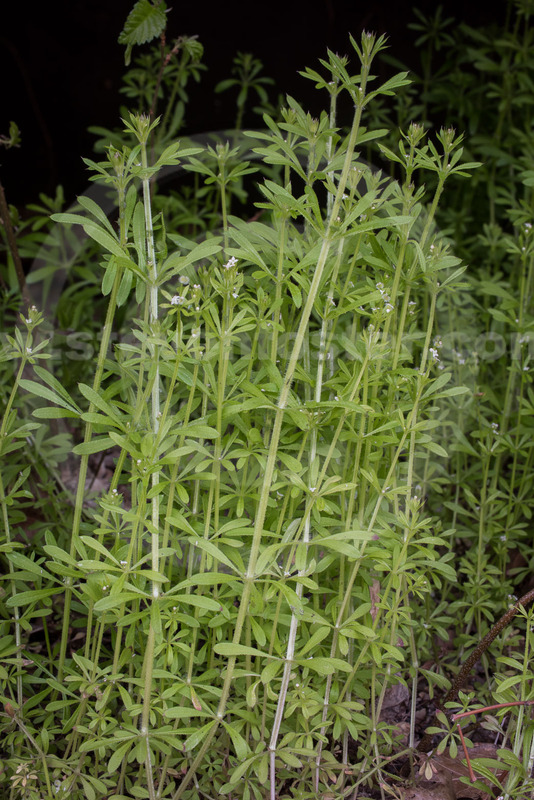 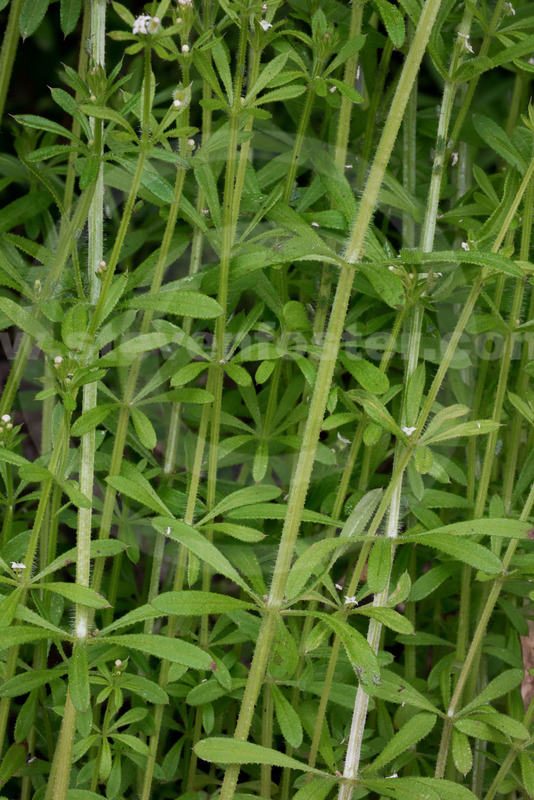 Used since ancient times as a medicinal plant primarily as a diuretic for blader and kidney inflammation, edema. 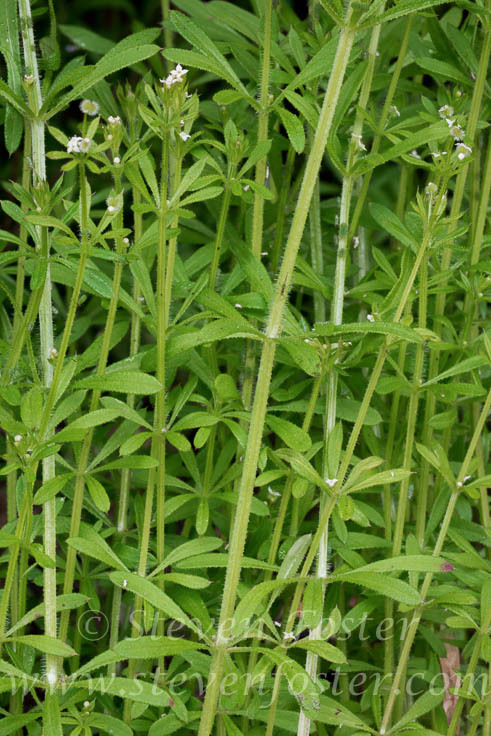 Fresh herb a historical treatment for scurvy. 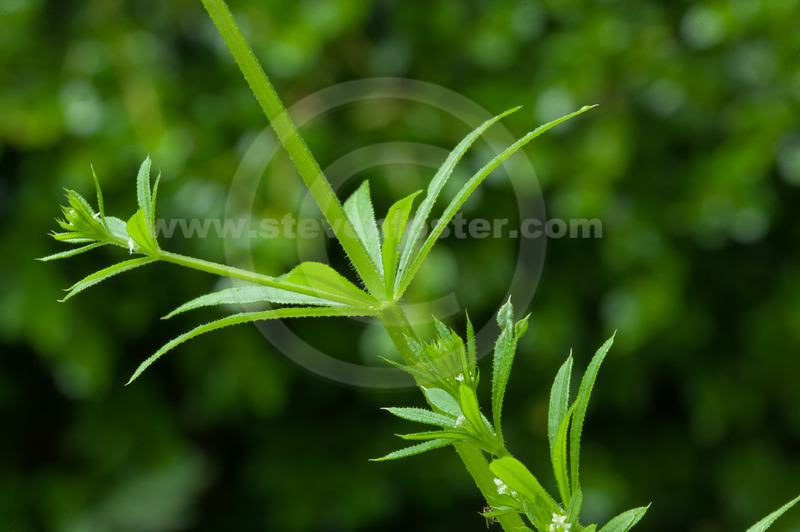 Extracts have been shown to have potential antitumor activity and anti-inflammatory effects. 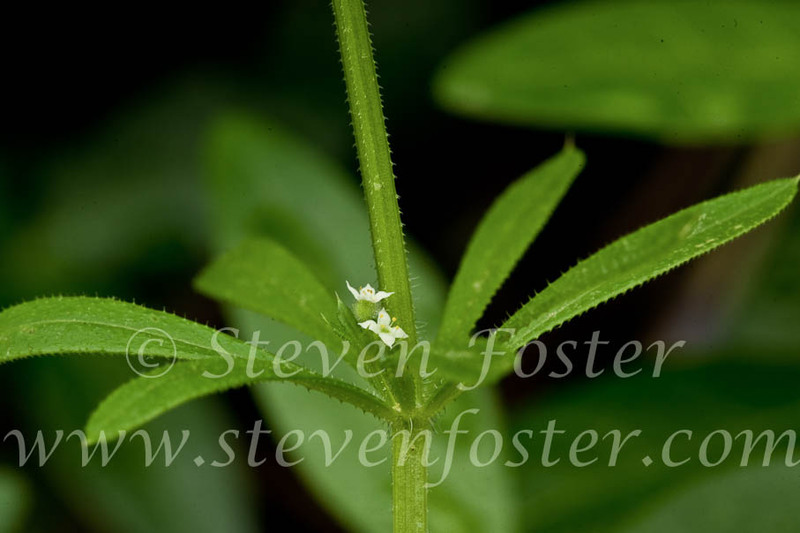 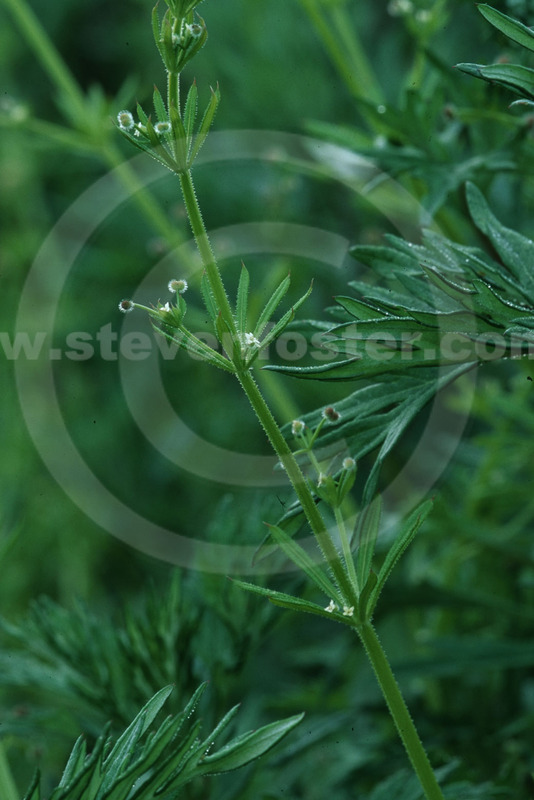 The small hooked hairs on the leaves allow this plant to prop itself up on host plants and ratchet leaves into position for optimum photosynthesis.